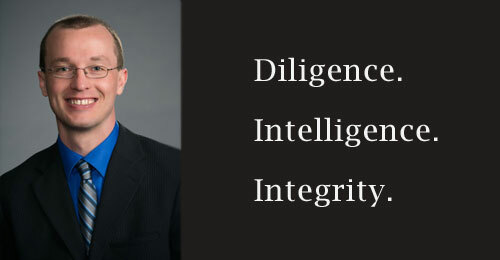 Diligence, intelligence, integrity. This is the motto of The Law Office of Kyle Krause because these are the traits I seek to exemplify when representing my clients. If these are traits you would like in your attorney, please contact my office the next time you need legal services. Diligence is exemplified through preparation, attention to detail, and keeping my clients informed. Handling matters with intelligence means using creative problem solving to help my clients reach the best outcomes in the most cost-effective manner. Integrity is demonstrated by pursuing justice, keeping client confidences, and dealing with others in an honest and straightforward fashion. Mediation can be thought of as assisted negotiation. A negotiation is a process of communication by which two or more parties attempt to reach an agreement. When parties take part in mediation, they use a neutral third party (the mediator) to help them try to reach an agreement. Divorce is often a very stressful event for those involved. Confusion, anger, and hurt feelings are common. There can be a multitude of divisive issues such as child custody, property valuation and division, child support, and spousal support (alimony). Family law is the term applied to the laws and rules developed regarding family relationships. It encompasses a wide range of issues, including divorce, child custody and visitation, child support, spousal support, paternity, guardianship, and adoption. NOTICE: Do not send sensitive information in your initial communication with my office. If I represent an adverse party in your case, such information could be used against you. Please allow for a conflict check to be conducted before sending sensitive information.